Albert Percy Winsor, known as Percy, was born in Yeovil on 29 March 1893, the youngest and only son of the five children of mechanical Engineer Albert George Winsor (1859-1908) and Emma Jane née Hallett (1858-1932). In the 1901 census Albert and Emma, together with their children; Ethel (b1884), Florence Evelyn (b1886), Gertrude (b1888), Amy Lottie (b1890) and five-year old Percy were living at 6 South Street - the former Cow Inn that had recently relinquished its license. From 1889 (at least) Albert Snr was a partner, with James Brown, in the blacksmith's business of Brown & Winsor at 77 South Street, then moving to 62 & 63 South Street. 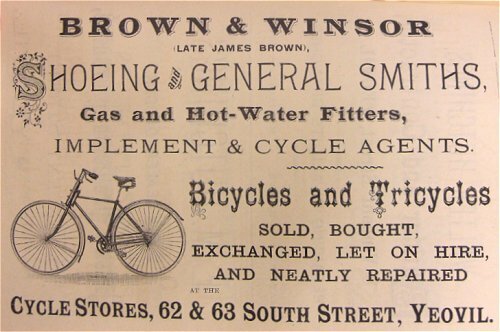 In 1897 Brown & Winsor were listed in Kelly's Directory as "Shoeing & Engineering smiths, wheelwrights, gas & hot water fitters; fencing, guttering & stove & range work in all its branches; implement & cycle agents; special attention given to all repairs; cycle fittings of every description kept in stock; The Cycle Stores, 77 South Street". Percy attended Holy Trinity church in Peter Street and was a member of the Holy Trinity Church Choir (see Gallery below). Albert Snr died in 1908 and in the 1911 census his widow Emma, together with Florence, Amy and Percy, were still living at 6 South Street. Florence and Amy, aged 25 and 21 respectively, were both listed at milliners while 18-year old Percy gave his occupation as an Engineer's apprentice in a Cycle & Motor Works (Repairers) - Brown & Winsor. 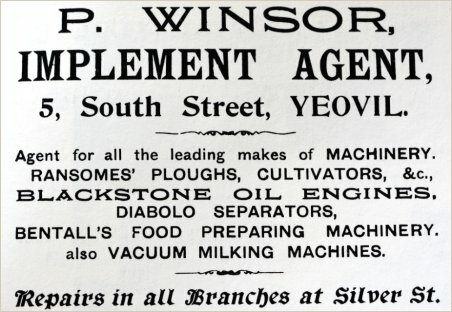 By 1913 Percy had finished his apprenticeship and immediately set himself up as an 'Implement Agent' as evidenced by his advertisement placed in the 1913 edition of Whitby's Yeovil Almanack Advertiser, shown below. Whether or not this was connected with the former Brown & Winsor business is unknown, but entirely possible especially as he advertised himself as based in South Street with a 'branch' in Silver Street. Percy established Percy Winsor Ltd, sellers of Agricultural Machinery with new showrooms in Vicarage Street, most likely in the early 1930s. In the winter of 1949, at the age of 56, Percy married Winifred Ivy Loder at Wells, Somerset. Percy Winsor Ltd were a leading supplier of Ferguson tractors, combine harvesters and balers. He visited Canada in 1950 via a Cunard White Star cruise liner for meetings with both Ferguson executives and Massey executives, they joined together and Percy returned to Yeovil with a massive contract with a new Massey-Ferguson franchise. 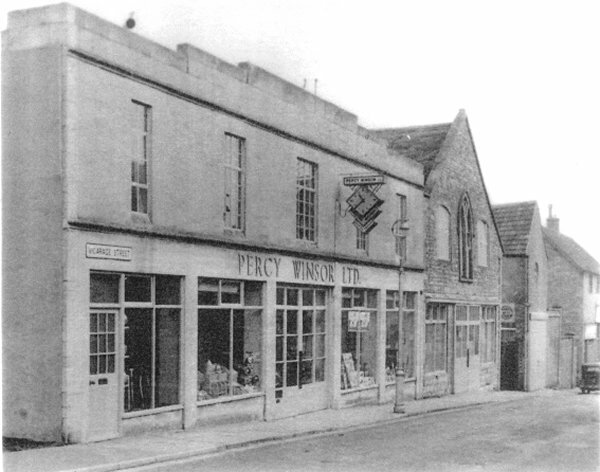 In 1966 Percy Winsor Ltd was taken over by South Western Farmers and Winsor employees moved to Crewkerne, Somerset. Percy retired at this juncture. Percy Winsor died in Yeovil in 1972, aged 79, and is buried in Yeovil cemetery. The partnership of James Brown and Albert Winsor was founded by 1889 at 77 South Street. 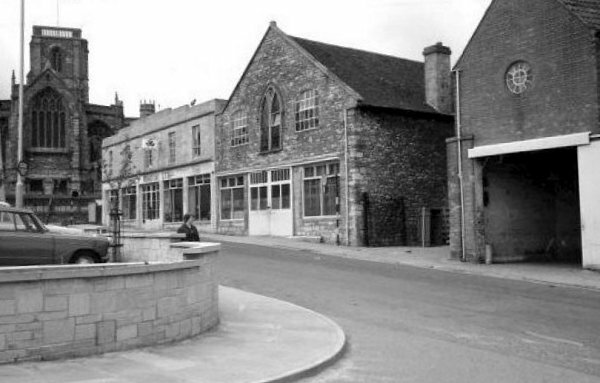 Prior to this Brown's business had been based in the smithy in Tabernacle Lane. By the time of this 1892 advertisement in Whitby's Yeovil Almanack Advertiser they had moved to 62 & 63 South Street. Percy Winsor was apprenticed to the business. 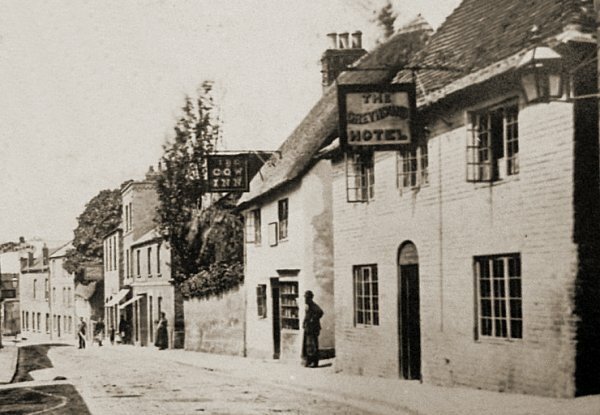 A photograph of South Street taken around 1880 showing the Cow Inn and the Greyhound Hotel. By 1911 the thatched Cow Inn was a private residence and the childhood home of Percy Winsor. 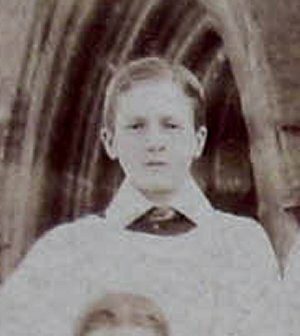 Percy Winsor, aged about 13, enlarged from the previous photograph. An advertisement placed in the 1913 edition of Whitby's Yeovil Almanack Advertiser. 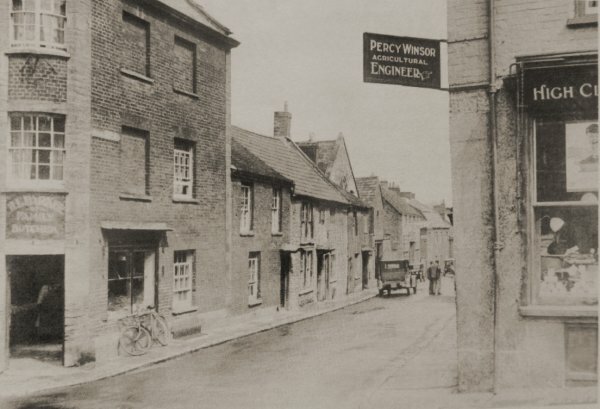 Note that at this time Percy was based in South Street with a branch in Silver Street, his sign is seen in the next photograph. The western end of Vicarage Street photographed from Silver Street, c1920. At this time Percy's branch premises were in Silver Street and his sign is seen at top right. Percy Winsor's new 1930's premises, in a late art deco style, in Vicarage Street photographed around 1940. This new building became Percy's main premises and replaced the old cottages seen in the previous photograph. By this time the old Unitarian church next to the new building had been acquired by Percy who adapted it for his use, including changing two of the upper windows and the whole of the ground floor frontage. 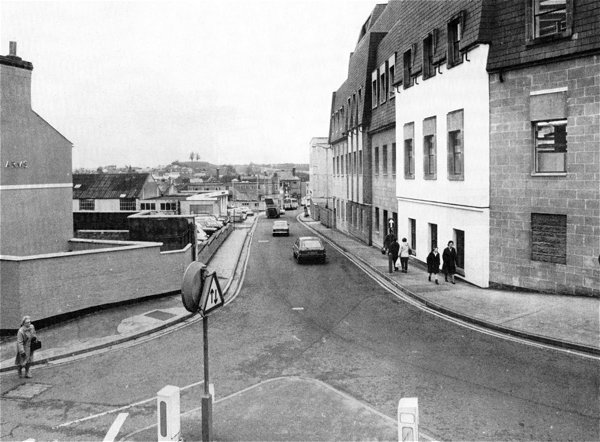 Another photograph of the 1960s looking back to the west end of Vicarage Street with St John's church at extreme left. 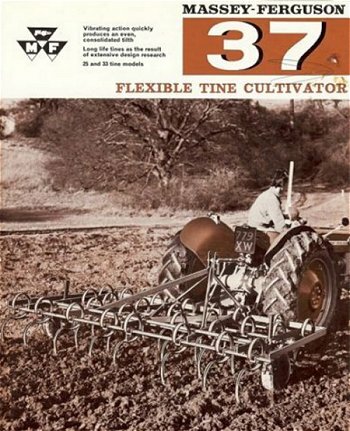 A farm implement brochure issued by Percy Winsor (his stamp is on the back) for a Massey Ferguson MF37 flexible tine cultivator dating to around 1965. 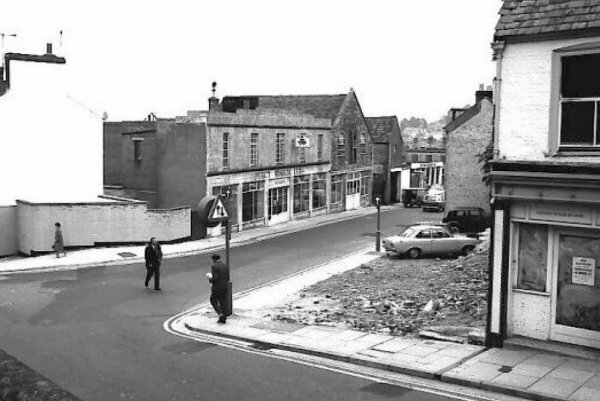 The western end of Vicarage Street photographed from St John's churchyard in the 1970s, with Silver Street running across the bottom of the photograph. Percy Winsor's premises were no more.